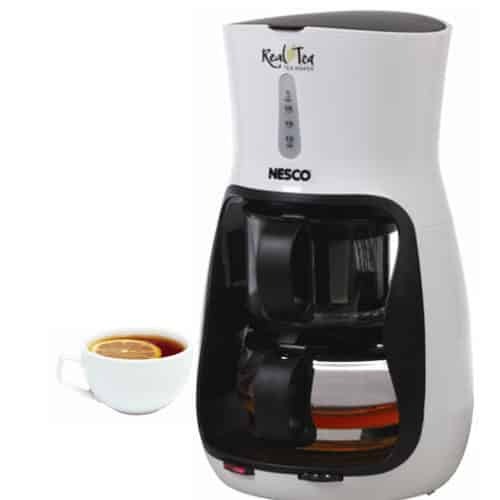 Quickly boil water to make instant coffee, tea, hot chocolate and more with the 1.8-quart Nesco Electric Glass Water Kettle. Uses about half the energy of a stovetop and boils faster than most microwaves. Perfect for kitchens, dorm rooms, offices and RVs to use for instant soups, oatmeal, hot cereals, ramen noodles, boxed mac & cheese, gelatin and rice. Featuring a stainless steel concealed heating element and trim. The glass pitcher includes level marks and is BPA free. 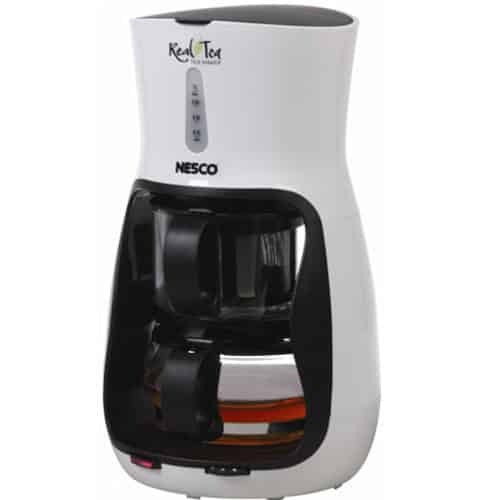 Kettle turns off when it reaches boil temperature or keep warm at lower setting for 30 minutes. 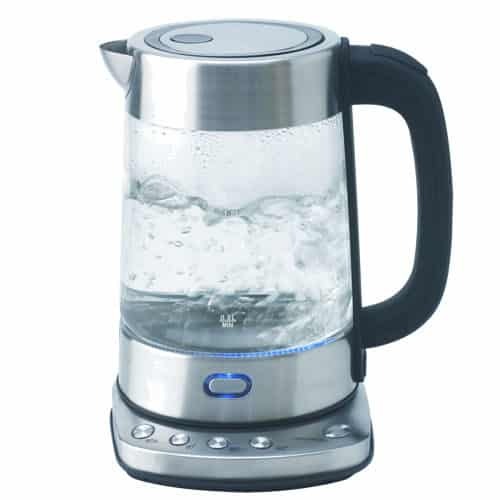 This water kettle has a 360-degree swivel power base with a cordless glass pitcher, cord storage, LED power indicator light and auto shut-off protection for safety. UL-Certified.